1866 - W.S. 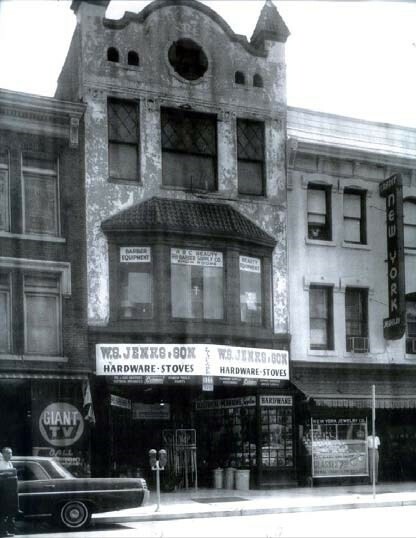 JENKS & SON was founded by Winfield S. Jenks at 723 7th St., NW selling hardware, horseshoes, pot belly, coal and woodburning stoves. 1956 - W.S. JENKS & SON opened it's Industrial and Government departments, selling to the young electronics industry and government agencies in the Washington, DC area. 1964 - W.S. JENKS & SON because of continuing growth, moves from 723 7th Street to 738 7th Street. Retail and Industrial sales were consolidated on all five floors. 1969 - W.S. JENKS & SON established it's third department, the Export Department, selling overseas to the Middle and Far East. 1974 - W.S. JENKS & SON moves it's Industrial, Government and Export department to a 20,000 square foot building at 2024 West Virginia Ave., NE, while maintaining the retail sales at 738 7th St., NW. At this time W.S. JENKS & SON became affiliated with General Abzar Company,LTD to better serve our overseas customers. 1986 - W.S. JENKS & SON moves to a 45,000 square foot building at 1933 Montana Ave., NE, consolidating Retail, Industrial, Export and Government departments in the same location. Our new retail showroom has over 10,000 square feet of merchandise and machinery on display. 1998 - W.S.JENKS & SON new on line catalog and Web site is now on the Internet making electronic commerce available at WS JENKS. This year 2000 product from Jenks means you can place orders, check pricing and availability of products, and tracking your order from the convenience of your own computer. Our order lines are with a secured server so you can be sure that the information you provide is confidential. 2003 - W.S.JENKS & SON moves to its new location for the new millennium. Our new 7,500 sq.ft. showroom provides the ideal place to not only see the tools you purchase but will give you the opportunity to see them run. 2014 - W.S. JENKS & SON moves to a new 20,000 sf location with a new emphisis on the local hardware experience. In addition to our government and commerical sales, our new retail showroom is a unique shopping experience. Visit us and see why we are not just another hardware store. 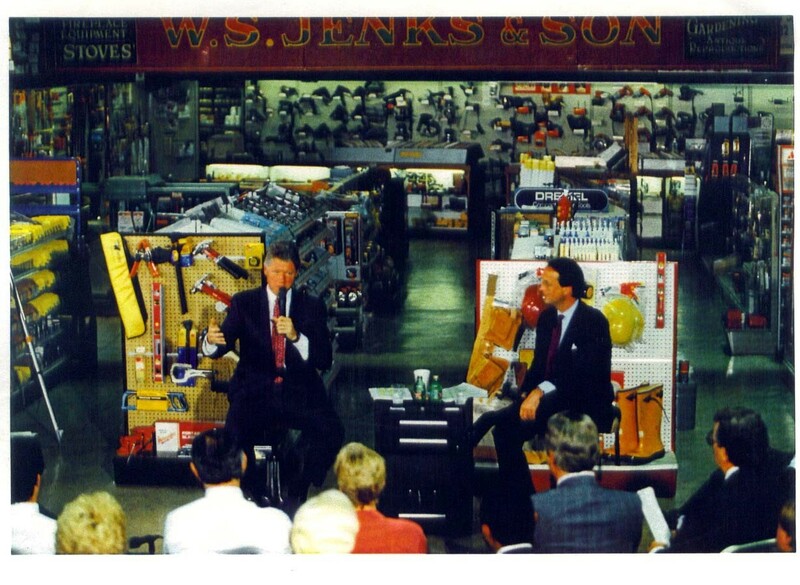 After 151 Years WS JENKS & SON has earned the reputation as “Washington's Oldest Hardware Store” and is the finest in Industrial, Woodworking, Contractor and Electronic Assembly Tool sales. Whether the order was placed by Mr. Morse's telegraph or Mr. Bell's telephone or today's E-mail, we look forward to continued growth in the future, while giving our customers prompt, personal service and attention.